In addition to a series of smaller buildings, a hangar will be built which will be big enough for the assembly of a 180 meter long airship. Two large landing circles will also be provided, with a mast at their centre where the airships can moor and around which they can swing head to wind direction. 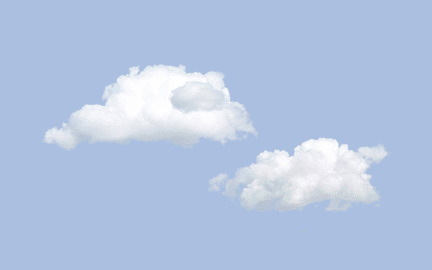 In addition to the wide support the project has been given by Dutch industry and government, The Netherlands was selected as a location due to its flat landscape, which is ideal for airships, its environmental focus, its excellent infrastructure and the presence of good suppliers. 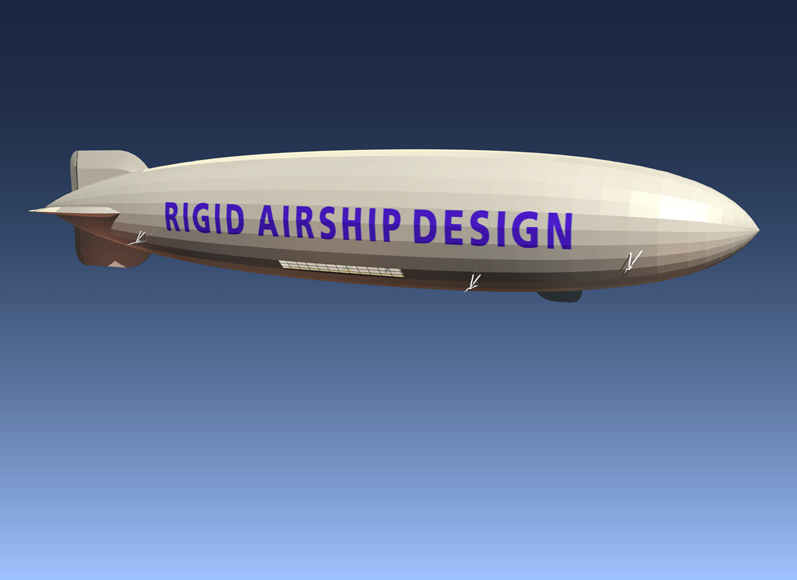 Rigid Airship Design N.V. received many invitations to locate in several municipalities. However, Lelystad was chosen because of the local council�s enthusiasm for the proposed plans, the ideal siting of the selected premises close to the IJsselmeer and the sheer space available for carrying out test flights. It will take out a phased lease (with an option to buy) on a site of up to 220 ha on the �Flevo coast� to the north of the town (a location formerly known as the Visvijver area). Not only does the site provide enough room for the company�s planned activities and anticipated expansion, its location on the edge of the IJsselmeer also makes it an ideal home port and point of departure for the test flights. The local authorities in Lelystad enthusiastically welcomed Rigid Airship Design N.V. to the town. 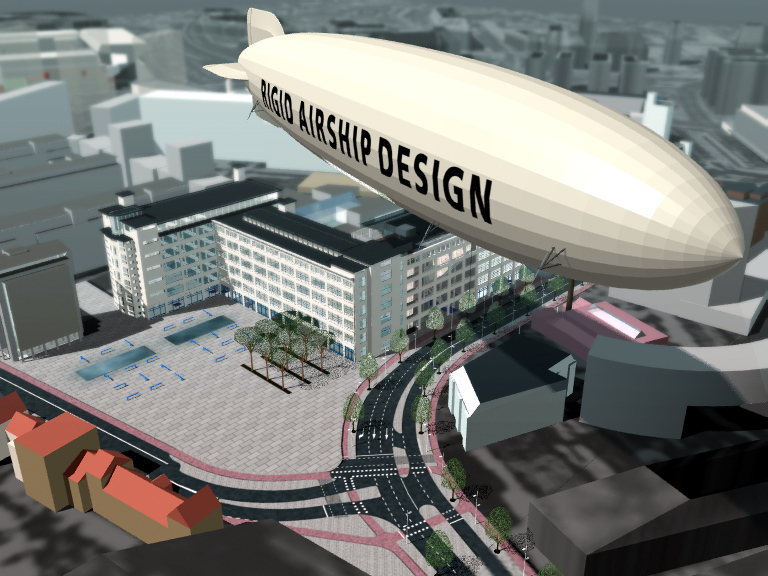 Not only for the employment it will create but also because airship design is a new industry which will add to the modern image of Lelystad and because the project applies innovative, environmentally friendly technologies. This ties in very well with the image the Flevopolder wants to create of an area with clean air, water and soil. In addition to contributions from Dutch companies, Rigid Airship Design N.V. can also count on scientific support from the Aerospace Faculty at Delft University of Technology and co-operation from the Dutch Civil Aviation Authority. The initiative also enjoys the broad interest of the European Union, the Dutch government and the Ministries of Transport, Public Works and Water Management, of Economic Affairs and of Housing, Spatial Planning and the Environment. Of course the company is also working closely with the municipality of Lelystad, where Rigid Airship Design N.V. now has its design offices. Once construction work begins on the airship, the number of jobs at Rigid Airship Design N.V. in Lelystad will gradually rise from 200 to 250. If the tests are successful and the airships can be mass produced, the project could generate enough work for a total of 1,300 people, including suppliers. The first hangar to be built will be able to accommodate the construction of four large airships each year. The site also provides room for further � even bigger � hangars, giving Rigid Airship Design N.V. more than enough room for further growth. The hangar to be built on the site at Lelystad will be large enough for the assembly of one airship at a time. In order to be able to construct the first airship prototype, a hangar will be needed measuring approximately 237 metres in length, 48 metres in height and 73 metres in width. When it is finished, it will be more than twice the height of the Rembrandt Tower in Amsterdam. Construction work on the hangar will start during the second half of 1999; the provisionally planned starting date is September of this year. The construction permit was submitted to the Lelystad municipal council at the beginning of April. The architect is W.S.P. Holland, based in the Hague. It is not yet known which construction company will be building the complex. Its sheer size, volume and architectual design will make the hangar a real eye-catcher and a building that is unique. The hangar will take around 10 months to complete. It can then be put into use straightaway for the assembly of airships. Components for the airships will be made in various locations throughout the Netherlands, but all the assembly work will be done in the hangar at Lelystad.